Conducting Body: GITAM Admission Test (GAT 2019) is a University level exam conducted by authorities of Gandhi Institute of Technology and Management (GITAM). Aim: It is established with an ambition to impart futuristic and comprehensive education of global standards with a high sense of discipline and social relevance in a serene and invigorating environment to the candidates. Programmes: It is an online exam for the candidates seeking admission in Under Graduation and Post Graduation Programmes in Engineering, Architecture, and Pharmacy with overall 123 programmes being offered. Gandhi Institute of Technology and Management is a deemed University under area 3 of the UGC Act, 1956. GITAM attained its deemed status in 2007 being the first private engineering institute to receive such university status in the state of Andhra Pradesh. It is one of the Largest and Top University in Southern India being founded in the year 1980. GITAM GAT 2019 conducted by GITAM University for admissions into its undergraduate programs offered at its three campuses namely GITAM Hyderabad, GITAM Vishakapatnam, GITAM Bangalore and Nineteen Institutes with Infinite Prospects. It offers quality distance education facilities to talented students. GITAM has received ‘A’ category status from the MHRD (Ministry of Human Resource Development of India) and gained ‘A’ grade accreditation under NAAC (The National Assessment and Accreditation Council). Its academic UG and PG courses are AICTE approved. Eligibility Criteria: Candidates should have passed 10+2 for UG programme with an aggregate of 60% to get admission in B.Tech programmes and 50% aggregate to get admission in B.Pharma and B.Arch programmes. Exam Duration: The duration of the test is 2 hours. The test consists of three sections and all questions are of objective type (multiple choice questions). Each question has four options of which one is correct. Marking Scheme: Each correct answer will be awarded 4 marks and 1 mark will be deducted from the score for each wrong answer. No marks will be given nor marks will be deducted for the unanswered or not-attempted questions. Counselling: Candidates who qualify in the admission test will be called for GITAM GAT counselling 2019 for document verification and seat allotment procedure. Candidates who are willing to apply for GITAM GAT 2019 should go through the detailed information like Important dates, Eligibility, Application form, and its process, Admit card, Exam centre and pattern Syllabus, Results, Counselling process and Reference books in the below article. Application Form: Application Form can be filled by the candidates from 12th November 2018 to its end date on 30th March 2019. Detailed information about the schedule is provided in GAT 2019 Important Dates. Under-Graduate Courses: Candidates need to have passed 10+2 with a minimum aggregate of 60% in PCM (Physics, Chemistry, Mathematics). Post-Graduate Courses: Candidates need to have passed graduation with a minimum aggregate of 60%. Age Limit: Must be 21 years old. Candidates can refer to GAT 2019 Eligibility to check if they want to see whether they are eligible for the exam or not. Application Process: Candidates have to fill in the personal details, academic details and upload the scanned copies of the photographs in the GITAM GAT 2019 application form presented on the official website. Payment Mode: Application fee can be paid online using the credit or debit cards (Master or Visa), or through net banking, and offline can be payable through Demand Draft made in favor of GITAM University Vishakapatnam. GITAM GAT 2019 application fee for boys is INR 1000/- and for girls is INR 600/-. A step by step process of filling the Application form is given in GAT 2019 Application Form. Across 50 cities in India, GITAM GAT 2019 exam will be conducted out of which candidates can choose only 3 cities for the exam. Candidates must carry any of the following Government ID i.e, Aadhar card, passport, Voter ID, PAN Card, or Driving License. Aspirants cannot change the exam centre once it has been allotted. Exam Mode: The GITAM GAT 2019 exam is conducted online. A total of 100 MCQ based questions will need to be answered within a stipulated period of 2 hours. The exam comprises of 3 sections. Marking Scheme: Correct answer will be awarded four marks. For B.Tech and M.Tech courses, three marks will be awarded for the correct answer and negative marking of one mark for each wrong answer. Subjects: Questions will be based on Logical Reasoning (30 questions), Verbal Ability (30 Questions), and Quantitive Aptitude (40 marks). A detailed GAT 2019 Exam Pattern gives the students a piece of prior knowledge about the exam mode, marking scheme, etc. Credentials: Admit card of GITAM GAT 2019 contains the candidate's relevant details with necessary guidelines. Details on Admit Card: Important details such as Candidates personal details such as application number, exam centre, date of birth, the photograph of the candidate, signature of the candidate, name of the exam and time. with also be mentioned in the admit card. A step by step process for downloading the GAT 2019 Admit Card will help the candidates in downloading and printing the admit card before the examination. B.Tech: Syllabus topics for the B.Tech GITAM GAT 2019 comprises of Physics, Chemistry, and Mathematics. M.Tech: Syllabus topics for the M.Tech GITAM GAT 2019 are Quantitative Aptitude, Logical Reasoning, and Verbal Ability. A list of topics for GAT 2019 Syllabus helps the candidates in planning and preparing for the examination. Website: Declaration of the results for GITAM GAT 2019 will be on 26th April 2019 on the official website. Results: Date of Birth and Enrollment Number to be entered by the candidate to check GITAM GAT 2019 result. Credentials necessary for checking the GAT 2019 Results are explained in detail. Date: Qualified students of the GITAM GAT 2019 can apply for the respective counselling process which will commence from 16th May 2019. Procedure: Based on the merit list of the candidates the admission process will be done. Selected candidates will be invited for both document verification as well as seat allotment for GITAM GAT 2019 Counselling. Q: What are the test scores that are accepted by the GITAM University? GIM provides admission to the candidates based on the CAT/XAT/MAT/GMAT/GOT (GIM ONLINE Test) scores for MBA/MHRM/MBA (CMU) and UGAT/GAT/GOT for BBM/IMBA aspirants. Q: How does the admission process take place in GITAM? 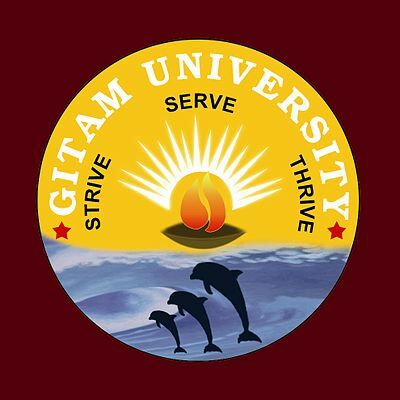 Candidates with a valid GITAM GAT 2019 score have the chances to obtain admission in the GITAM University. The admission process is based on the rank list prepared by the university. Candidates who have obtained first place in central or state board examination, then he/she will be eligible to get the admission directly. Q: Where can the candidate obtain the application form? A candidate can obtain the application form from the official website of the university from 12th November 2018. The offline application form will be issued in the designated centres like 1) GIM, GITAM Campus, Vizag, 2) CDL, GITAM, Dodaparthi, Vizag, and 3) GITAM City Office, Khairatabad, Hyderabad. This can also be obtained by sending a request letter. Q: Does GITAM University follow the quota reservation? Yes, the university follows the quota reservations as stated by the central government. Q: What is the achievement of the university in placements? All the eligible candidates are placed in the reputed companies. Maximum salary package provided in placement is about 18 lakhs. Q: Is age limit set as a criterion to obtain admission? There is no age limit set as the criteria for the candidates to obtain admission. Q: Does GITAM help the candidate to obtain loans? Candidates can obtain educational loans from the nationalized bank. Necessary documents will be issued by the university. Q: Is distance education programs available in GITAM? Distance education programs are offered by the university. The admissions are based on the rank obtained in the state level entrance exam conducted by GITAM. Application Start Date: The application forms for GAT 2019 will be available from 12th November 2018 to 30th March 2019. Admit Card: Candidates can download their GITAM GAT admit card 2019 from 5th April 2019. Examination: GITAM GAT exam 2019 will be held on 10th April 2019. Result: The result of GITAM GAT 2019 declares on 26th April 2019 at the official website. Counselling: The counselling process commences from 16th May 2019. Direct Admission: Candidates who secure first class grade in state or central board will get direct admissions in GITAM University. M.Tech: Candidates belong to B.E./B.Tech./AMIE in Civil Engineering or its equivalent are eligible for M.Tech in Structural Engineering & Natural Disaster Management. Candidates belong to B.E./B.Tech./AMIE in Mechanical/Production /Automobile /Marine /Aerospace or its equivalent are eligible for M.Tech in Machine Design, CAD/CAM or CADME. Candidates who are about to attend their final examinations are also eligible to go through the Gitam Admission Test 2019. There are basically two different modes of applying for GITAM GAT 2019, they are online and offline. The online process can be done on the official website and the offline procedure would be confronted at the Main campus of the University. Candidates should go through the fee payment details and the documentation required to attach with the application before starting the process. Availability: Candidates can fill the application form from 12th November 2018 to 30th March 2019. Online Mode: Candidate can make the payment of fee either via net banking/credit card/debit card. Offline Mode: Demand Draft can be sent to the address mentioned drawn from Indian Bank, Union Bank of India or Karur Vyasa Bank. The documents required for the application process applies the same for the counselling process. Availability: Candidates can download admit card from the official website on and from 5th April 2019. It will contain important details regarding GITAM GAT 2019 like the name of the candidate, register number, name of the exam, slot booking and etc. Admit card is equivalent to hall ticket. It is mandatory to take the admit card along with the ID proof to the examination hall. The stepwise process to download the admit card is provided in detail. The syllabus of GAT 2019 exam is designed to check the logical and analytical skills of the candidates. The GAT 2019 Examination contains important topics covered in class 11th and 12th. The syllabus is different for different exams. Declaration: The result of GAT 2019 is declared on the official website and the results can be viewed from 26th April 2019. The candidate is requested to download the result and take a printout for further allusion. An invitation would be sent to the candidate through a call letter based GITAM Admission Test 2019 result. Eligibility: Candidates who qualify the GAT 2019 can apply for the counselling process. Commencement: The counselling process starts from 16th May 2019. Participating Institutes: There are many institutions participating in the counselling process. Seat allotment: Seat allotted to the candidate depends upon the marks scored by the candidate and availability of seats. Documents Verification: Candidates are requested to carry their original documents for verification. According to the entrance test admission will go on and the name of the examination is GAT(GITAM ADMISSION TEST), pass mark will be the cutoff. GITAM GAT Eligibility Criteria B.Tech Programmes: For B.Tech, the candidates must have passed class XII from a recognised state or central board with a minimum 60% aggregate marks in Physics , Chemistry and Maths. Direct Admissions in B.Tech programmes and B.Tech Biotechnology programme: Candidates securing top positions in state or central board will get direct admissions in GITAM University. They are not required to appear in GITAM GAT. B.Tech Biotechnology Programme: Those seeking admissions in B.Tech Biotechnology should have passed class XII from a recognised state or central board with a minimum aggregate of 60% marks in Physics, Chemistry, Mathematics and Biology. Candidate must clear the GAT exam and must have passed the 12th from a recognized institute to get admission in this college. ELIGIBILITY CRITERIA: -> Pass marks in +2 or any other equivalent examination approved by GITAM University of Physics, Chemistry and Mathematics. ->Admissions into B.Tech will be based on an All India Entrance Test (GAT) conducted by GITAM University and the rule of reservation, wherever applicable. Eligibility criteria were 10th and 12th pass entrance examinations C.A.T- CREATIVE ABILITY TEST and GAT- GENERAL ABILITY TEST and a situation test and it's good to obtain a rank under 200. Admissions in Galgotias University are based on the GAT Galgotias entrance test. The eligibility criteria to join GITAM University is an Intermediate pass. I have taken GAT exam which will be held by Gitam University. This university is in top 20 in India. There will be many typical cut-offs available for the course. If you get good internal marks then you can score good C.G.P.A and G.P.A score at the final. There are fest, entertainment, ethical days, all types of festivals celebrated in the college. What is the date Application form will release of GAT?